As you might already know, the ‘Dudes’ love innovative, new, products, designed to make your productions look amazing. Even though we are trusted experts in streaming live events, we also like products that are versatile and serve the ever changing needs of video production experts. Production Bot not only serves as a solid foundation for editing, it also can do much, much more. Production Bot is a true workhorse that was created by a team of video production experts for video production experts. Built around a quad core processors, a powerful NVIDIA GPUs, and AJA SDI Inputs- the Production Bot is ready to report for duty. Although vMix Pro software comes standard on the Switch 8 (vMix 4K on Switch 4), the open platform of Production Bot allows you to use it however you desire. The idea behind Production Bot was simple. 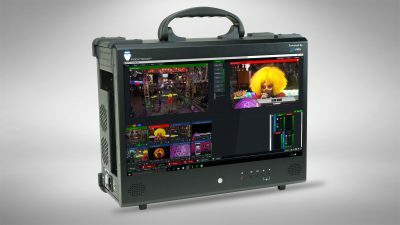 Give it a variety of configurable outputs, give it portability, give it expandability, and then give it enough power to run virtually any piece of production software you need. 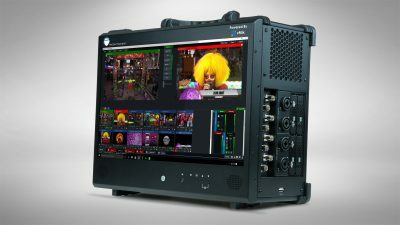 With Production Bot, you have a multi-purpose tool that can go from running live switching software, to video ingestion, to editing and then switch over to projection mapping- all within the same unit. Production Bot is truly a producer’s best tool for when on location or wherever a compact form factor is a must. Stream Dudes is excited to bring you such a new and versatile product. If you would like to order a Production Bot, please visit our online store. To speak with one of our team members and see which Production Bot is right for you, contact us for additional information.